Manufactured from strong durable resistant thermoplastics. 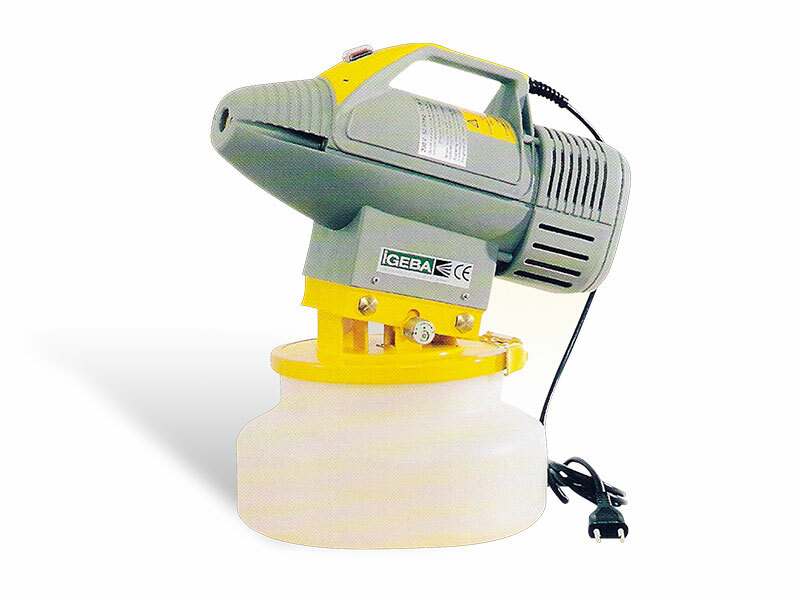 Powerful electric motor producing greater aerosol volume at higher velocity with deeper penetration. More uniform droplet spectrum. Droplet size can be regulated by increasing or decreasing the solution flow.